Because birthday parties are an annual way to show how much you care about a family member or friend, it only makes sense to ensure that the event is as exciting as possible. To achieve this, it is important to ensure you have taken the proper precautions and planning steps to make the most of the time you have available. In this article, we hope to help guide you in planning the best birthday party ever without blowing your budget. Like any other event, planning a birthday party will require you to create a budget and find creative ways to stick to it. While you could rent a bouncy castle for the duration of the party, is it really necessary for your guests to have fun? Instead, create a budget you are comfortable working with and plan the rest of the event according to how much money you have to work with. While you could have a birthday party at your home, there will likely be a lot of clean up and potential damages that could arise depending on the size of the guest list. To avoid this and the potential headaches that could arise, you may be interested in using part of your budget on a venue. Not only will this help with space requirements, you will have the amenities needed to have the best birthday party ever. One of the easiest ways to let your birthday party flop is to invite your guests too late. 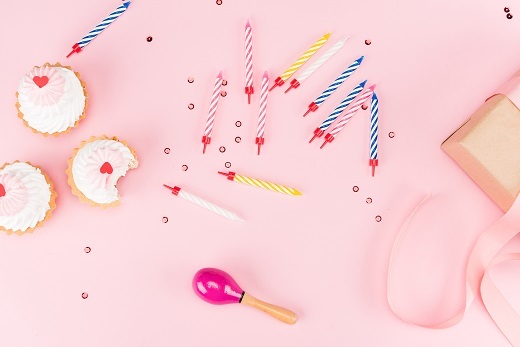 With the busy schedules that we all have these days, it’s important to give potential guests the ability to plan for upcoming events, including birthday parties. Send out RSVP’s as soon as possible to ensure you have the highest attendance possible. If you are currently looking for a venue for your birthday party, Stokely Event Center can make sure your special day is unforgettable. Guests to your birthday party will love the free-to-play games and a wide assortment of decorative signs. With the flexibility of catering in outside food and drinks, event menus can fit a variety of preferences. Our sound system, projector and screen are included for one great price to meet your audio/visual needs. If you are interested in reserving Stokely Event Center, please call us at 918-600-4448 or complete our online request form. We can’t wait to be part of your special day!